A panoramic view of Rio from the Christ Statue. 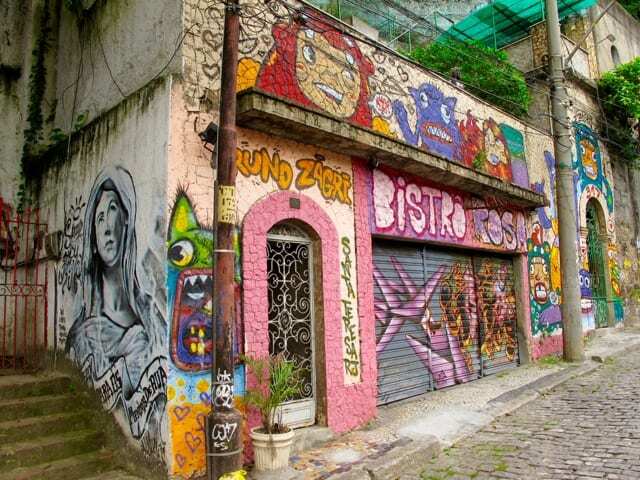 Rio de Janeiro is best known for its spectacular setting, glorious beaches like Ipanema and Copacabana, the Sugarloaf Mountain, the iconic Christ Statue and the samba, but as you explore the city, one other thing will certainly grab your attention: the city’s stunning street art. I didn’t see much of it during my first trip to Rio in the 1990’s. On subsequent trips, I noticed the proliferation of increasingly elaborate designs coupled with vibrant colours in various neighbourhoods. 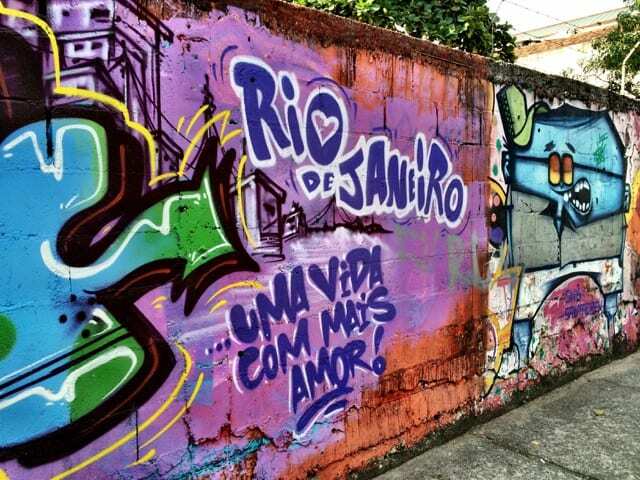 These days, street art in Rio has been elevated to a true art form. In fact, the Mayor recently legalised graffiti and government institutions have started to finance street art projects which bring groups of artists together. Some street artists even exhibit their artwork in galleries and their work is featured on clothing, accessories and wallpaper (check out HomeGrown in Ipanema). 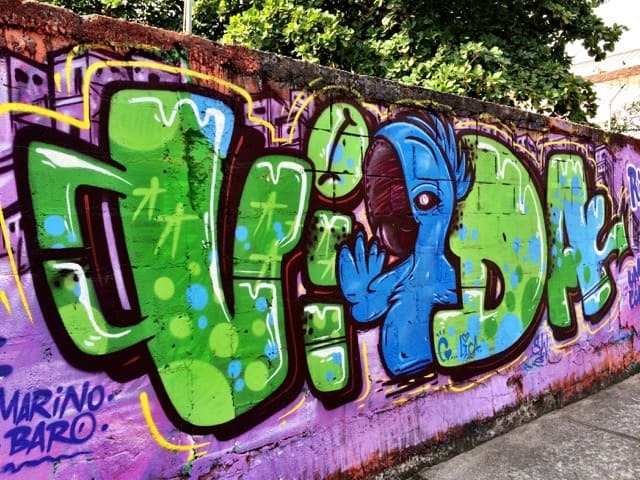 Every year in September, the Art Rua Festival sees graffiti artists from around the world converge upon Rio to showcase their artistic talents. 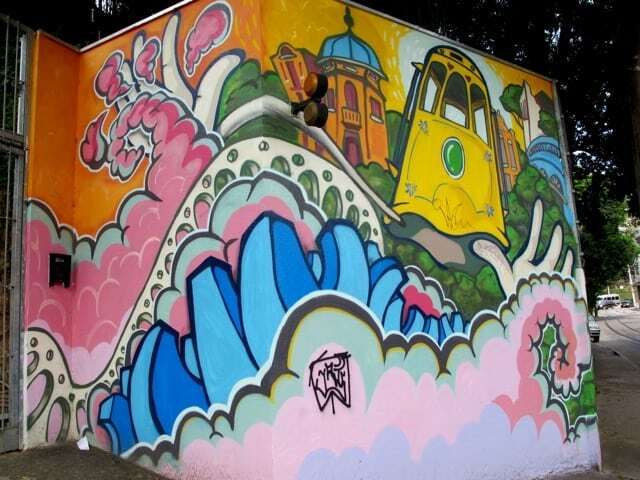 Extensive murals and individual pieces can be found throughout the city but some of the best places are in the Lapa (around the famous Selarón Steps and the viaduct) and Santa Teresa neighbourhoods, Cinelândia (city centre) and bordering the Jardim Botânico (Botanical Gardens). 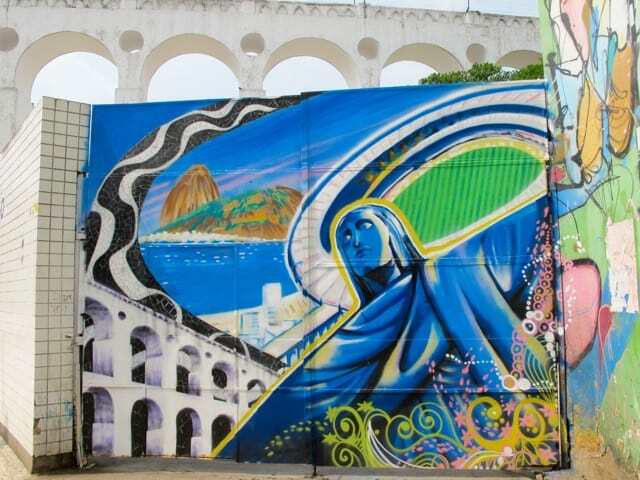 Icons of Rio – this can be found near the viaduct (seen in the background) in Lapa. Another colourful example in Lapa. One of my favourites. This piece can be found at the base station of the Sugarloaf Mountain cable-car. 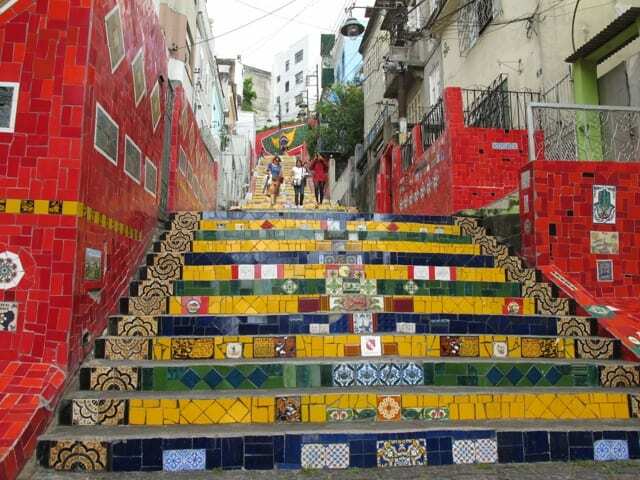 The colourful tiles of the Selaron steps in Santa Teresa – a must-see in Rio! A colourful piece in the Santa Teresa neighbourhood. More street-art in Santa Teresa. Many walls in Santa Teresa are covered with intriguing characters. 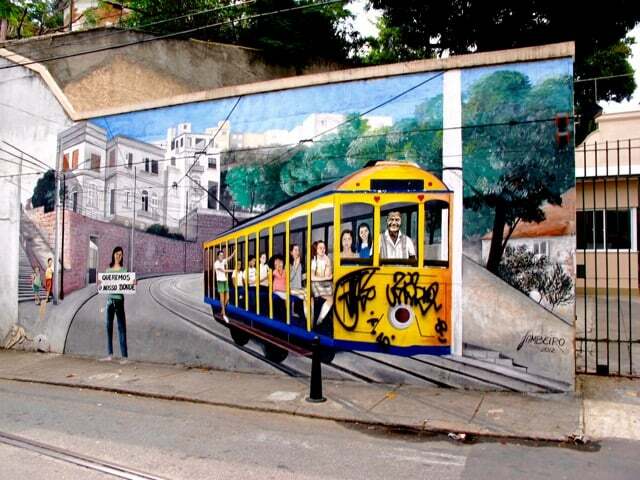 This piece in Santa Teresa depicts the famous street-cars which used to run through the neighbourhood. This piece representing a patchwork quilt can be found across the road from the Botanical Gardens. Another piece along the road at the Botanical Gardens. 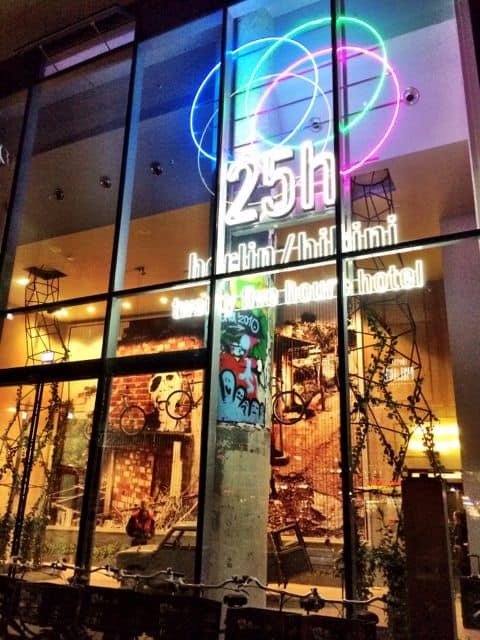 One of the most striking pieces was commissioned specially for the Rio Olympics 2016. 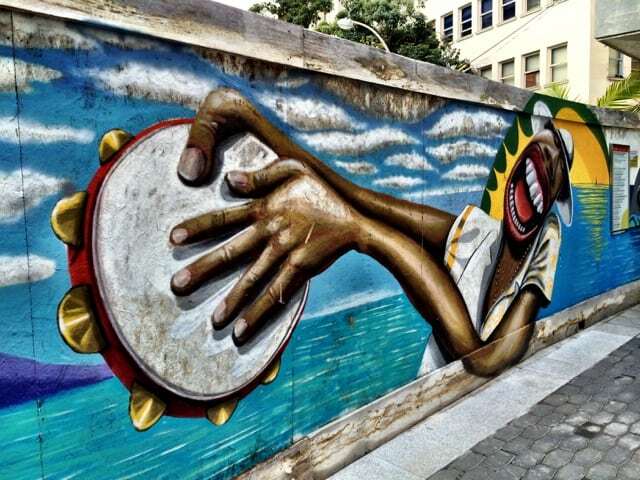 The mural along the Olympic Boulevard in downtown Rio de Janeiro is a sight not to be missed. At 190 meters long, this mural by Eduardo Kobra depicts five faces of indigenous people from five continents and is on record as the largest mural ever created by a single artist. The largest street art mural by a single artist in the world along the Olympic Boulevard in Rio. The mural seen from the other end. 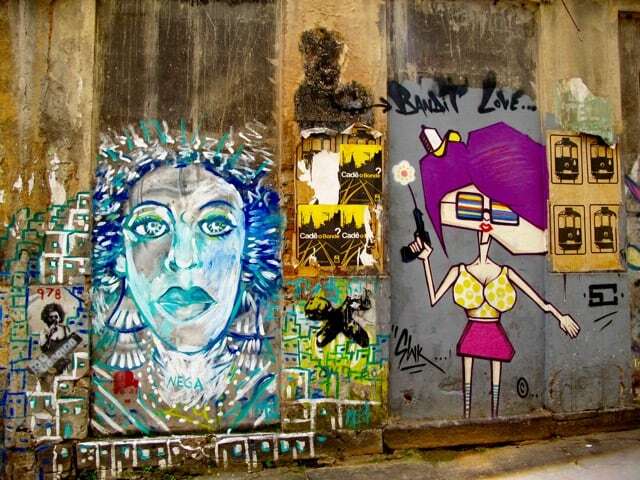 You’ll come across fabulous examples of street art as you stroll around the city but if you’re interested in being guided by locals from the Rio art scene, check out the Rio Street Art tour or the Graffiti and Urban Art tour. Read more about Rio de Janeiro on Velvet Escape. UBER cool and oh so classy! Wow. This post is amazing. I love street art. Really cool they are. It is very difficult to see these kind of quality graffities in my city. Thank you for sharing with us. Hi Kami, Lapa and Santa Teresa were my favourites too! 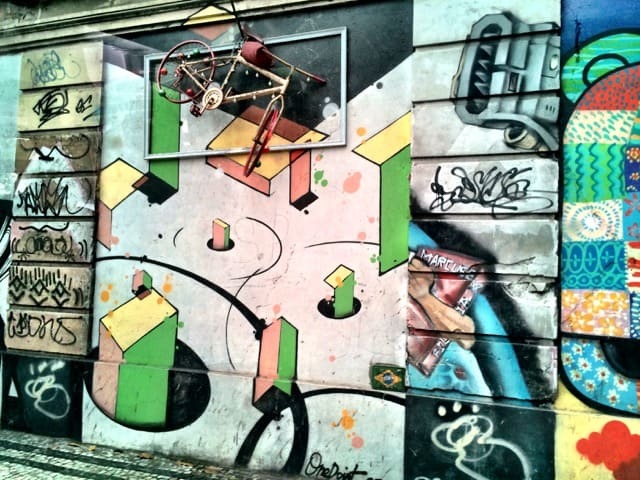 I loved street art in Rio! 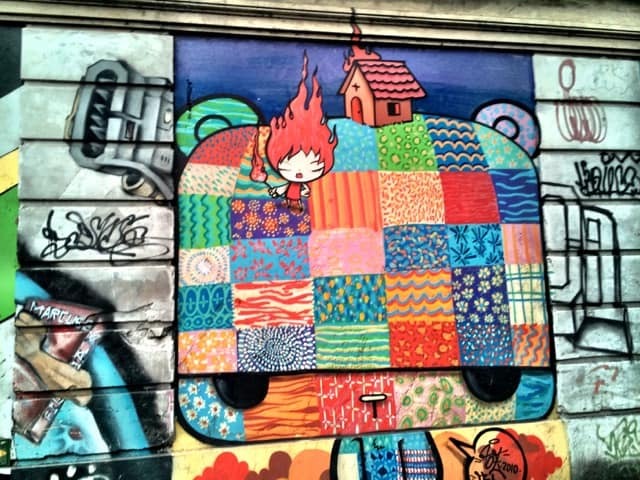 So many great pieces all over the city but Lapa and Santa Teresa were the best! Very cool. Love the art. Nice pictures, really cool street art!! They’re really cool and there’s lots more in other parts of the city.